The number of U.S. beef cow operations increased slightly in the five-year period between 2012 and 2017, according to data released in the 2017 Census of Agriculture. 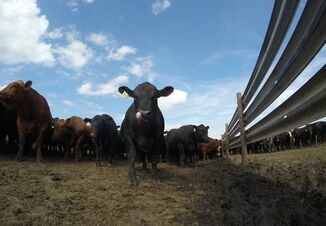 USDA’s National Agricultural Statistics Service (NASS) reported a total of 729,046 operations with beef cows, which is about 36% of total U.S. farms. The increase in number of operations with beef cows was 1,140 when compared to the 2012 Census of Agriculture. With 31.722 million beef cows in 2017, the average herd size of all U.S. producers was 43.5 cows. The overall increase in beef cow operations, however, is in contrast to the overall number of U.S. farms, which declined 3% from 2012 to 2017. Since the 1997 Census of Agriculture, the total number of farms in the U.S. has declined 7.8%. The slight increase in cow operations in the 2017 census, also contrasts with the 19% overall decline in cow outfits in 20 years. Since the 1997 census, the number of cow operations has been reduced 170,710. 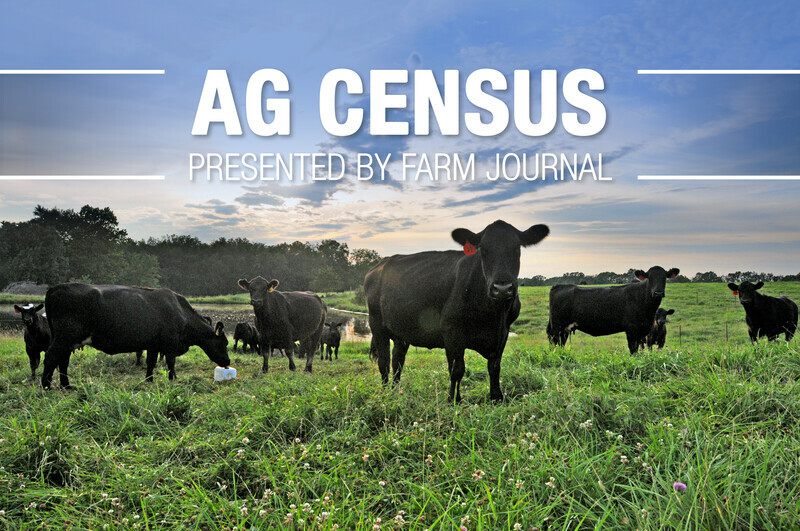 Despite that overall 20-year decline, the latest census data on cow operations shows growth in every size category above 50 cows. The category of operations with 50-99 cows increased 11%, the 100-499 cow category increased 13%, the 500-999 cow category increased 7%, and the category of operations with more than 1,000 cows increased 8%. Those increases in the upper size categories means more of the nation’s beef cows are in larger herds. For instance, the total U.S. beef cow inventory was 31.722 in 2017, and 27% of those cows were in herds under 50 head. Another 19% of the cows were in herds of 50 to 99 cows. Therefore, the breakdown included 46% of the cows were in herds under 100 cows, with 54% of the cows in herds greater than 100 head. 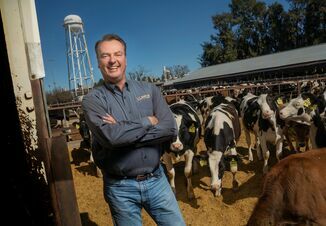 Among the largest beef cow operations, NASS counted 5,938 operations with more than 500 cows, representing 5.47 million cows, or 17% of the nation’s total beef cows. The number of operations in the 500-plus cow category was up 430 operations from the 2012 census (7%). According to the 2017 census data, cow outfits with more than 500 cows had an average of 921 cows per operation. Operations with fewer than 50 cows had an average herd size of 15 head. Operations with 100 to 500 cows had an average herd size of 186 cows.